As some of you know, I have suffered from acne from my mid teens, which has damaged my skin in the long run. I’ve large pores, and acne scars and pits on the T zone area of my face. Just recently I was looking at a Clinique stand in Boots, and although I have never really been able to afford Clinique products, I decided to take the plunge and buy something to combat my pores. I picked up Clinique’s Pore Refining Solutions for £20 which to me is a little steep, but I know Clinique is a big skin brand with many loyal customers. unfortunately I do not have any photos to show a before and after, but I can tell you in confidence that this product is pretty good on the pore front. It seems to minimize the look of pores, and fill them in so that your makeup does not sink into the pore, but glides over it, making your skin look a lot more smooth. You can kind of compare this product to Benefit’s Porefessional as both refine your pores and are perfect for using as a primer. However I find the Porefessinal is a lot better at keeping shine at bay. 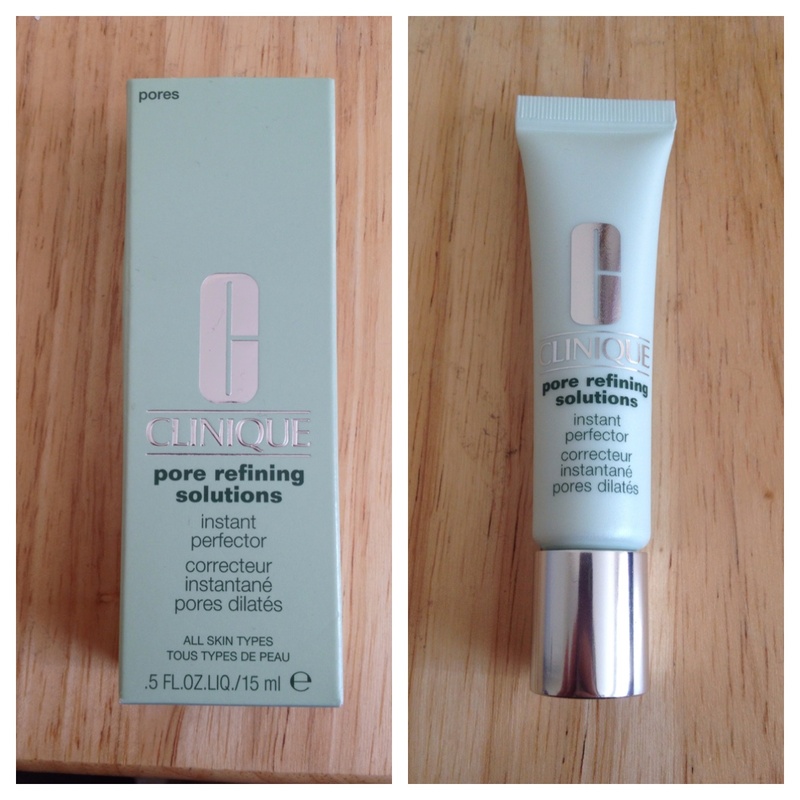 Clineque’s Pore Refining Instant Perfector wasn’t too great at controlling my oils, but it did blur the look of my pores brilliantly giving me a smoother look. I would recommend Pore Refining Instant Perfector to anyone with pores that are not too severe. However if you are looking for a product that really helps keep you matte, try Porefessional! I plan on buying a couple more Clinique products such as redness minimizing solutions. Has anyone ever tried any anti redness products that worked? Please let me know!